Biotech had its best weekly performance in more than 15 years during the week of the election. 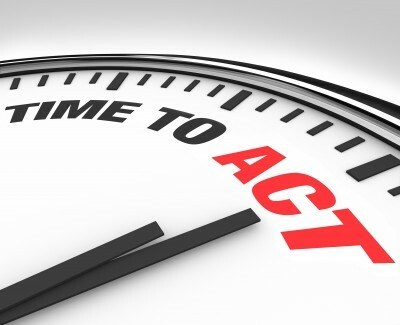 The specter of a changeover in Congress resulting in additional legislation and regulation was hanging over the pharma and biotech sectors for most of the last year. When that did not occur, combined with Donald Trump’s surprising win, both areas of the market staged a remarkable rally. 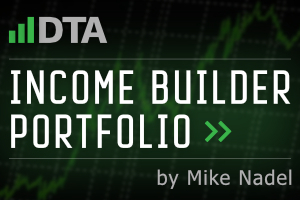 We saw a bit of profit-taking last week in the larger names as the biotech sector consolidated its “Yuge” gains. [ad#Google Adsense 336×280-IA] Interestingly, small caps continue to outpace their larger brethren by a significant margin in regards to performance. 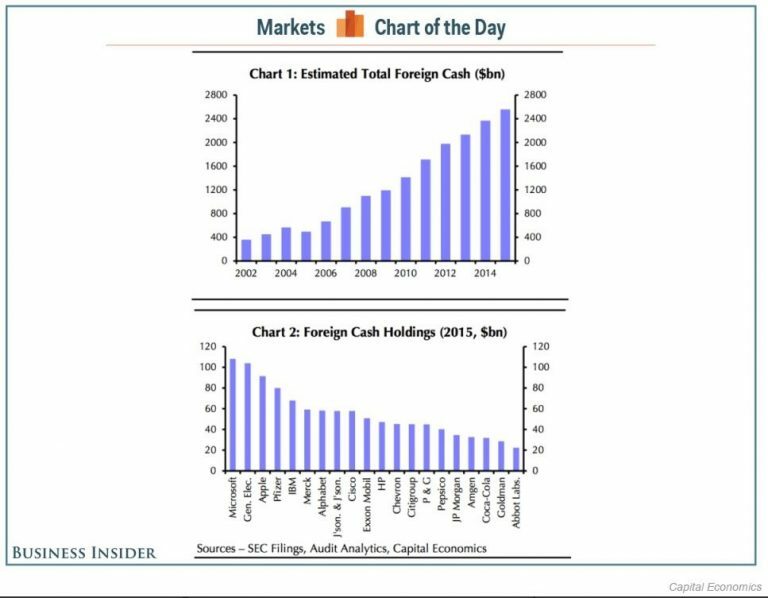 Part of this is thanks to small caps across the market that have been very strong since the unexpected election results and the rise in the dollar which will squeeze the profits of large multi-nationals further. The Russell 2000 is up nearly 14% over the past two weeks or so, an impressive performance to say the least. Small and mid-cap biotech and biopharma concerns are also rising on renewed hopes of increased M&A activity across the industry now that the election has resulted in political certainty. In addition, financing rates remain low, and drug and biotech giants still need to replenish their pipelines providing a nice backdrop for increased purchase activity. After the significant post-election rally, we are now back up near the top end of a trading range for the sector that has been in place since the market bottomed in February. 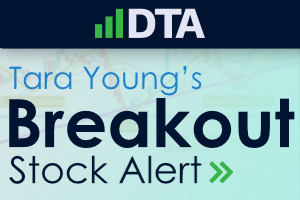 Given third quarter earnings season is pretty much over, I think we need to see increased acquisition activity in the space to break through upward resistance levels and move significantly higher. Biotech investors should closely watch the mid-cap space of the market to see if M&A is ready to boost the sector higher. 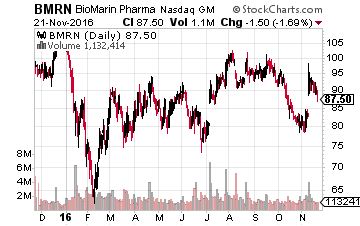 Biomarin Pharmaceuiticals (NASDAQ: BMRN) has long been touted as a prime buyout in this area of the market. 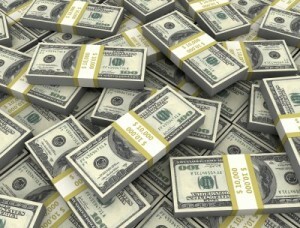 A purchase would cost between $20 billion to $25 billion to accommodate a solid premium to the stock’s current price. Speculated logical acquirers are many. 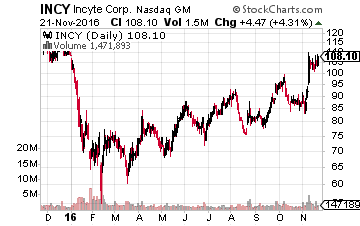 Another much rumored mid-cap acquisition target is Incyte (NASDAQ: INCY) which would probably need a $25 billion to $30 billion offer to consider being bought. 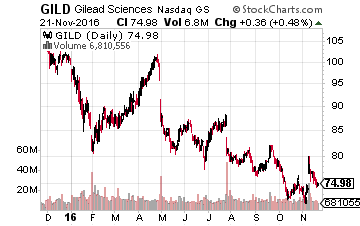 Gilead Sciences (NASDAQ: GILD) has been linked as a possible interested party to both Biomarin and Incyte, although I think the latter probably would be a more logical target. One of Gilead’s pipeline candidates to treat myelofibrosis recently failed to prove it was superior to this existing treatment which happens to be Jakari from Incyte. This drug is rapidly approaching $1 billion in annual sales and this should expand greatly if/when the compound is approved for other indications like graft versus host disease (GVHD). Gilead is under pressure from investors to get moving on the M&A front to secure growth outside of its core HCV and HIV franchises. Given previous comments from management, I think Gilead will choose to make smaller acquisitions, but if they do choose to “go big”, Incyte and Biomarin are two likely mid-cap concerns in the industry. Regardless of what Gilead chooses to do, I would expect one of these names to be acquired if we are to confirm that the next M&A wave within the industry has arrived. 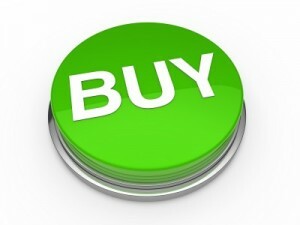 A smaller buyout target I am watching closely is Acadia Pharmaceuticals (NASDAQ: ACAD) which could be bought for $5 billion to $6 billion even with a significant premium. 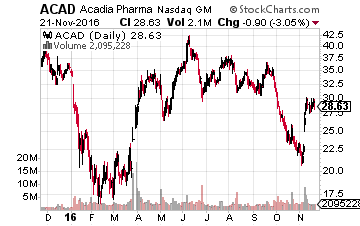 Acadia had its first drug “Nuplazid” approved by the FDA this year. Nuplazid is the first compound to be greenlighted to treat the psychosis often found in Parkinson’s patients. This condition occurs in approximately 40% of the population, which numbers some one million just in the United States alone. The company is in the process of rolling the drug out to treat that population. Nuplazid is also in late-stage trials as a possible treatment for the psychosis commonly found in both Alzheimers patients and individuals with Schizophrenia. Parkinson’s is thought to be a $1 billion indication eventually. Obviously, success in these other disease areas would greatly expand Nuplazid’s peak sale potential. 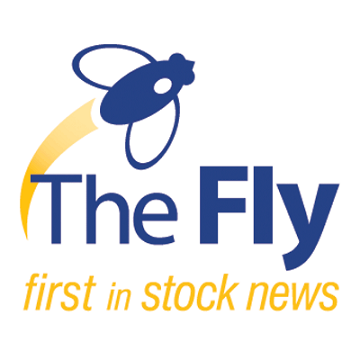 Acadia has over $500 million in cash on the books so it is in a strong negotiating position while it moves testing of Nuplazid forward and establishes inroads into the Parkinson’s ecosystem to market the drug for its already approved indication. 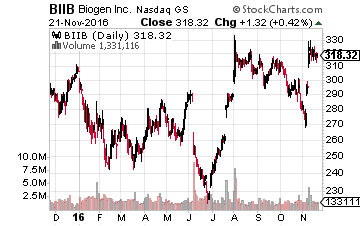 Biogen (NASDAQ: BIIB) seems a logical dance partner as it has an established sales force and has stated it wants to expand its footprint into neurology. Biogen is also spinning off its hemophilia business early next year. The value of that spin-off is approximately the same as what Acadia would go for in a buyout, so this does seem a match made in heaven. These are some of the mid-cap names I expect to attract significant buyout interest should the projected uptick in M&A activity arrive for the biotech space. There are myriad smaller names I also expect to be on the drug and biotech giants’ “shopping lists”. That will be the topic of a future column, however. With the election out of the way, the biotech sector is set to take-off now that it’s Trump and not Hillary.